Before you go booking your Phuket conference venue, you’re obviously going to need to pitch your event idea. Preparing a proposal is getting harder in the current business environment, as budgets are tighter, lead times are shorter and expectations are higher. Writing and delivering the perfect event proposal is quite challenging, so here are a few general ideas to get you started. Given the increasing time constraints on preparing event proposals, it is a little frustrating that frameworks are redundant. However, the fact that each company has their own way of working and each event will inevitably be unique means that frameworks will often create more difficulties than advantages. It sometimes takes more effort to adapt something that isn’t quite right to suit your needs than to just start from scratch, working from a company-provided style and general content guide. While a ‘fill-the-blanks’ template is completely redundant, there are general structures you can use to ensure that you are using your limited time effectively to create a successful proposal. The best of them is based on Maslow’s Heirarchy of Needs and is broken down into five levels: meeting essential requirements, demonstrating understanding of the client’s needs and goals, sourcing and using images and graphics to illustrate your proposal, creating a unique layout design, and incorporating some kind of innovation for the extra “wow” factor. Naturally, you start from the top and work down, making sure that you have the essentials – such as picking the right Phuket conference venue – ticked off before spending too much time on the unessential but arguably more interesting parts. When applying for a job, most advice suggests writing a fresh resumé and covering letter for each employer, ensuring that both are perfectly suited to the role you are applying for. The same goes for wring proposals. Your proposal needs to have the company’s requirements as the starting point, and those requirements will often be completely different from one company to the next. As a general writing tip, using second-person pronouns like you/your better portrays the fact that you are looking at the proposal from the perspective of the client company. One of the reasons event planning is getting harder is the fact that there is a constant hunt for ‘the next big thing’. Even though the suggestion is to spend the least time on innovation while preparing your event plan, it remains an important aspect of the plan and can sometimes be the deal-maker or breaker. 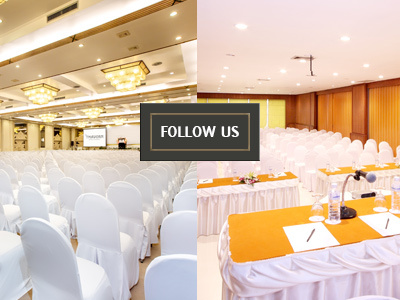 You should look very carefully at the facilities available at Phuket conference venues to see what they can offer which will allow you to offer something different and new.